As big and as practical as ever. Excellent refinement and ride quality. Plenty of modern technology. Affordable running costs. Five star Euro NCAP rating. Expensive, particularly in upper trim levels. Options add even more cost. S-MAX is cheaper. 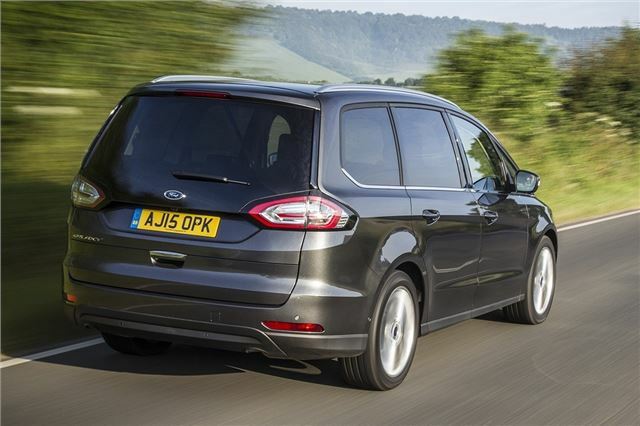 Impressive versatility and practicality are what have made the Ford Galaxy a success in the past, so Ford has chosen to stick the formula for the 2015 model. That means you still get plenty of space for passengers and luggage, but with the benefit some added luxury, improved refinement, more up-to-date safety technology and cleaner engines. The Galaxy is a seven-seater as standard. 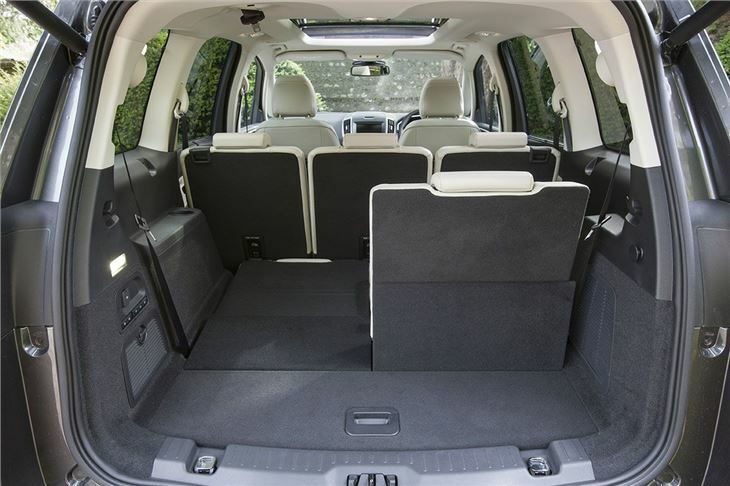 Access to the rearmost seats isn’t too bad, plus you can buy an optional system to fold and unfold them with just one finger. 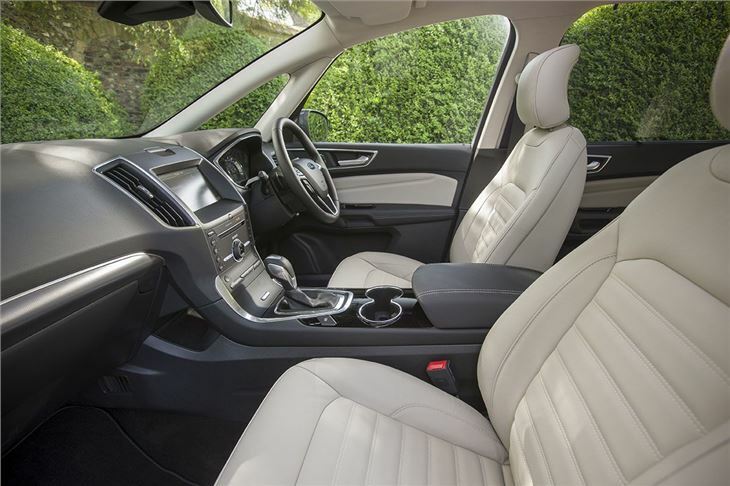 There is a surprising amount of space - even adults will fit, though they would be happier in the spacious middle row, which has three reclining and sliding seats. 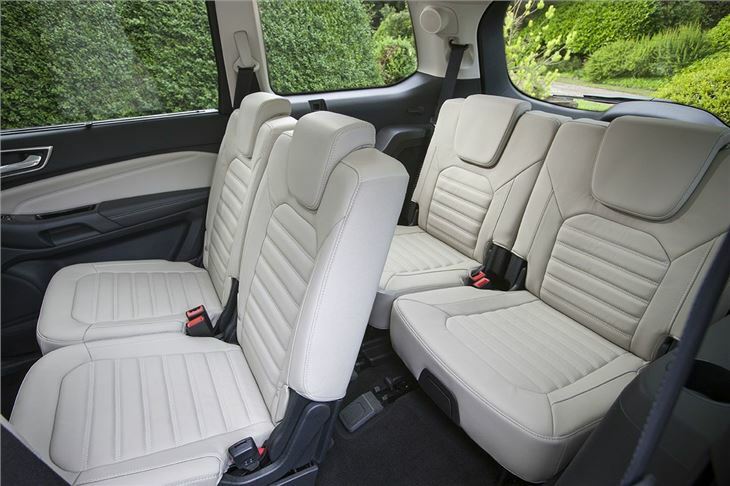 All of the seats can be folded flat to enlarge the load area to its maximum capacity – a colossal 2339 litres. 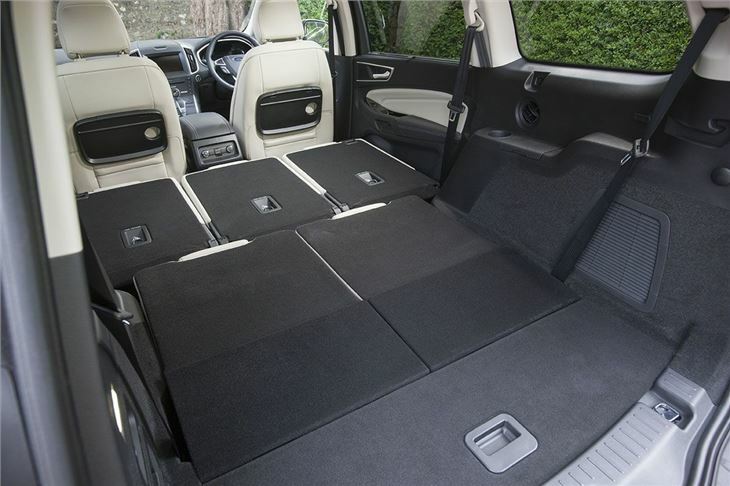 Even with the middle row in place there is an impressive 700 litres on offer and, while things do get a little restricted in seven-seat mode, there is still an acceptable amount of room for smaller cases or shopping. Not only is the cabin spacious and practical, it is also well screwed together. Material quality is good, with a mixture of soft-touch materials or harder-wearing plastics where needed. Standard equipment includes a touchscreen system, while upper trim grades get safety gadgets including lane keep assistance and cruise control that can adapt to the current speed limit. The Ford Galaxy is a favourite among private hire taxi firms, not only because it is versatile but because it has surprisingly low running costs. The mainstay of the engine range is a 2.0-litre TDCi with power outputs ranging from 120PS up to 210PS. Emissions are as low as 129g/km and claimed economy goes up to 56.5mpg. There are also 1.5-litre and 2.0-litre petrol engines available. 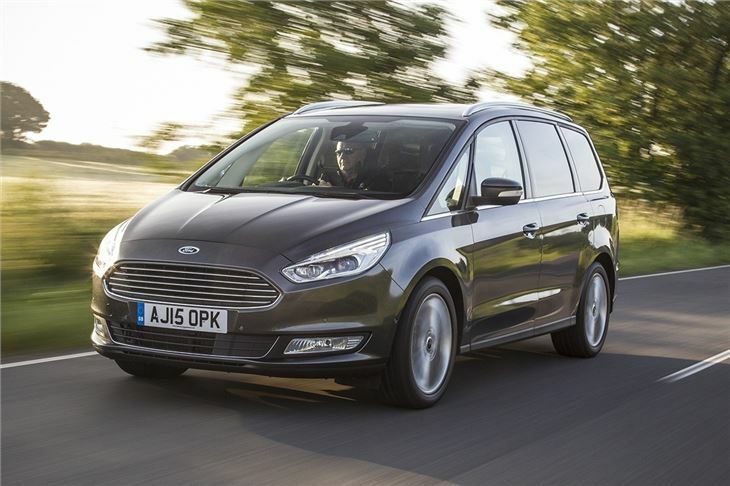 Ride comfort and refinement are excellent, even on rough surfaces and while the Galaxy is far from dynamic and fun like the smaller S-MAX, it is certainly capable enough to tackle twisting roads. Some options will help out urban drivers too, including an automated parking system and a rearview camera. 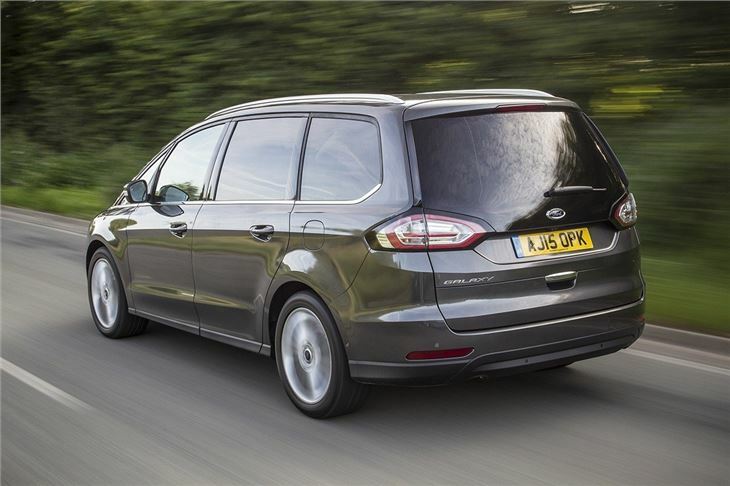 A Ford Galaxy doesn’t come cheap – a Citroen Grand C4 Picasso can be bought for thousands less – but for a professional driver or a growing family you can’t argue with the practicality, comfort, refinement and safety gadgets. It is definitely worth checking out rivals, though, such as the SEAT Alhambra or, if you’re on a tight budget, the practical but relatively crude SsangYong Turismo.